Please click on Contact Me (on the left) if you would like to receive Patrice's Quarterly Enewsletter. Patrice has 24 sides (sold) properties in the past 12 months and has 35 listings. She is a Condo Specialist having sold more than 100 condos. Patrice is a Seller's Agent and helps Sellers price property correctly and to negotiate a successful sale. She is happy to work with Buyers as Customers and to share her expertise to help Buyers purchase their dream property. 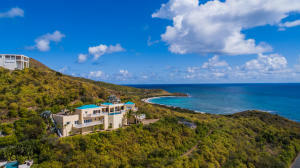 If your dream is to own a Caribbean beachfront residence, romantic hilltop estate, historic plantation, golf course villa, tropical condominium, or sea view home site, PATRICE KELLY is the Real Estate Professional for you. Licensed for 30+ years, Patrice is the co-owner of Hamilton Real Estate, established in 1957. A consistent Million $$$ Producer, Patrice has been honored by her peers as VI REALTOR OF THE YEAR (2007). Patrice was President of the Board of Realtors (2014), was a Certified Residential Specialist (CRS) for many years, and is a Graduate of the Realtors Institute (GRI), a Certified Professional Standards Instructor, and has completed a Securities course on tax advantaged investments. Recently she has attended Seminars on Accredited Buyer Representation (ABR) and Certified International Property Specialist (CIPS). Put experience and reputation to work for you! 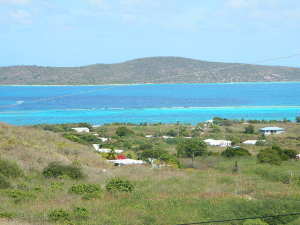 The Enewsletter features Favorite Listings, Sold Statistics, Island Events, and Real Estate News you can use. Click on the Menu at left to read a sample Newsletter. 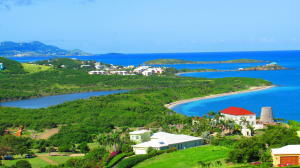 St. Croix is the best residential island in the Caribbean, and it is truly "America's Paradise". Phone Patrice at 340-514-6624, Email: PatriceVI@aol.com. Facebook PatriceVI. Patrice Kelly, Hamilton Real Estate.